Need some sweet treats for your guests and family over the holiday weekend - without the mess of dishes and cleaning up after? The Runestone Museum has you covered! 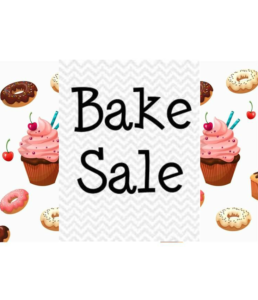 The museum lobby will be full of baked goods, pies, cookies, bars, and sweets of all kinds. Proceeds will be used to develop museum field trip materials and museum lesson plans for school and home school visits. 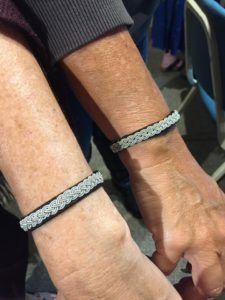 Leather cording and tin thread are braided together to create this fun bracelet. Glue the ends into a flat magnetic clasp - no sewing. Registration fee includes all materials and tools. Instructor: Deb Kerr is a transplant from the east who moved to Alexandria in June 2015. While living in Pennsylvania she taught math, computer skills, quilting and more. Deb loves to help people unleash their creativity - yes, EVERYONE is creative! Celebrate Mai Fest at Fort Alexandria! 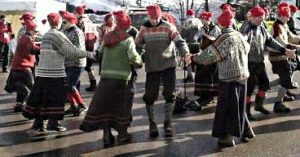 Syttende Mai is Norway’s Constitution Day and its most celebrated holiday! Minnesota has a rich connection with Scandinavia—join the Runestone Museum in celebrating that heritage at Mai Fest! There will be food, ice cream, music, games, jewelry making, rosemaling and much, much more!